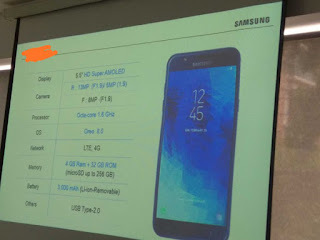 A leak of information that circulated recently mentioned about the release of a Samsung smartphone with the model number "J720F" in India. The device is likely to be named Galaxy J7 Duo has even been revealed details of its recent specifications. 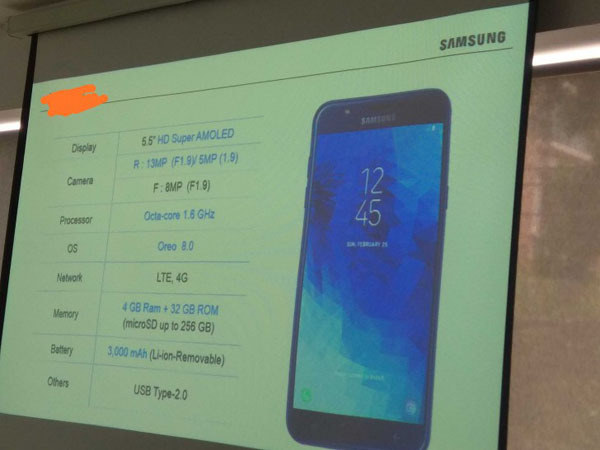 This information originally sourced from an internal sales training session document at Samsung that reveals all the main specs of the Galaxy J7 Duo. This new device comes with a Super AMOLED screen measuring 5.5 inches with HD resolution. Galaxy J7 Duo has an aspect ratio of 16: 9 and the design is quite interesting. The photography sector is equipped with two rear cameras with a combination of 13 MP + 5 MP resolution and apperture f / 1.9. Its performance relies on a 1.6 GHz octa-core processor which is probably the Exynos 7870 chip. Supporting its performance has also been prepared the Mali T-830 GPU. Smartphones running the Android OS v8.0 Oreo will also feature the latest Samsung Experience 9.0 interface. The Galaxy J7 Duo operation will use a battery with a power capacity of 3,000 mAh. More surprisingly, Samsung was offering a removable battery. Thus if there is a problem with the battery, the user can easily replace it. Reportedly, Galaxy J7 Duo will arrive in mid-April 2018 and will be offered in Black, Blue, and Gold color variants. 0 Response to "Ready to Release April, This Detail Specification Samsung Galaxy J7 Duo"